Members of SOIL Artist-Run Gallery present Every Movement Reveals Us, an exhibition of both collaborative and individual works based on the methodologies of Hermann Rorschach, whose ubiquitous inkblots, still used today, are considered a sizable contribution to psychiatric theories and practices. The show’s title, a quote by French philosopher Michel de Montaigne, was once used by literary critic Jean Starobinski to describe the significance of Rorschach’s work, the spirit of which resonates within the exuberant discoveries between and among the artists of SOIL. Founded in 1995, SOIL is a not-for-profit cooperative space in Seattle, WA, established, supported and operated by local artists. 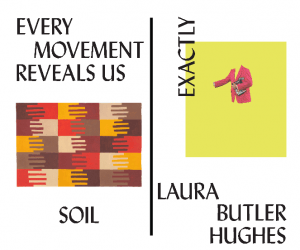 SOIL exists as an alternative venue for artists to exhibit, develop, and advance their work, and is committed to exhibiting and celebrating art of diverse media and content. The cooperative has been in existence for 23 years and has been consistent in showing a different exhibition each month that opens on every first Thursday. It has received substantial local as well as national press attention. 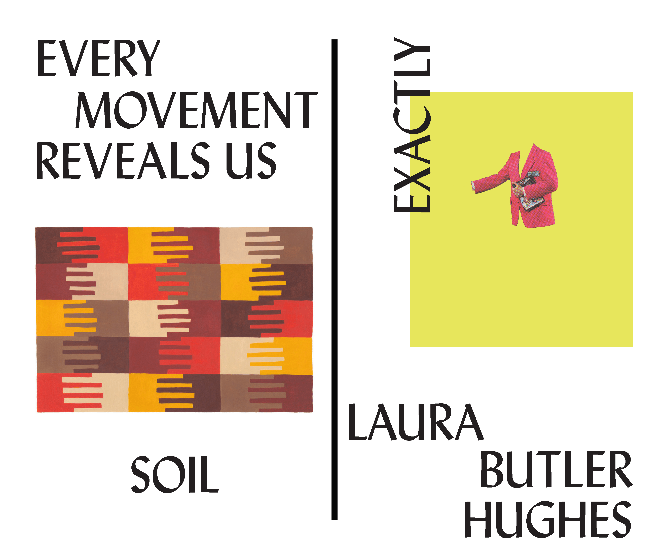 Laura Butler Hughes is an artist living in Eugene, Oregon. Originally from Buffalo, New York, Hughes received her BFA from the Maryland Institute College of Art and MFA from The University of Oregon. Her work has been exhibited regionally at Disjecta, White Box, and Blackfish Gallery in Portland, and nationally in Miami, FL, Baltimore, MD, Richmond, VA. Hughes was the 2018 recipient of the Georgianne Teller Singer Dean’s Graduate Fellowship at the University of Oregon. She currently teaches at Linn Benton Community College, and is working on Good Time Travelers, a series of multimedia sculptures and editioned books. Tropical’s 2018-19 season starts this weekend!